14" x 18" Suede Bolster Bed The trendy BRINKMANN PET? 14 inch x 18 inch Box Bed is perfect for every living room setting. Constructed of a high quality curly fur on the sleep area and faux suede on the exterior walls. The bottom is made from a durable nylon for years of floor wear. Filled with ECO-FIRST? 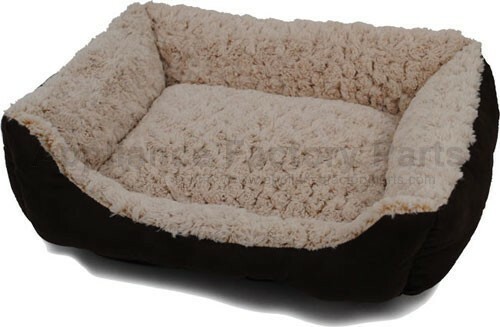 recycled fiber fill for the utmost comfort of your pets. Color: Brown Care Instructions Easy to care for and machine washable. We're adding new 876-RR14-18730.1 parts all the time, contact us for pricing and availability.